To further its mission and invest in students and communities statewide, the Georgia Music Foundation awards grants of up to $5,000 each year to music education, preservation and outreach programs. Since 2015, Georgia Music Grants totaling nearly $300,000 have been distributed to schools and non-profit organizations across the state. The next grant application period to consider funding for projects taking place in 2010 is July 15 – Sept. 1, 2019. Applications will be available online during those dates. Applications will only be considered from Georgia-based non-profit organizations with IRS 501(c)3 status, or from public, private or charter schools in Georgia serving grades K-12. Education: Provide opportunities to participate in music through classroom instruction, after-school programs, or summer camp programs. 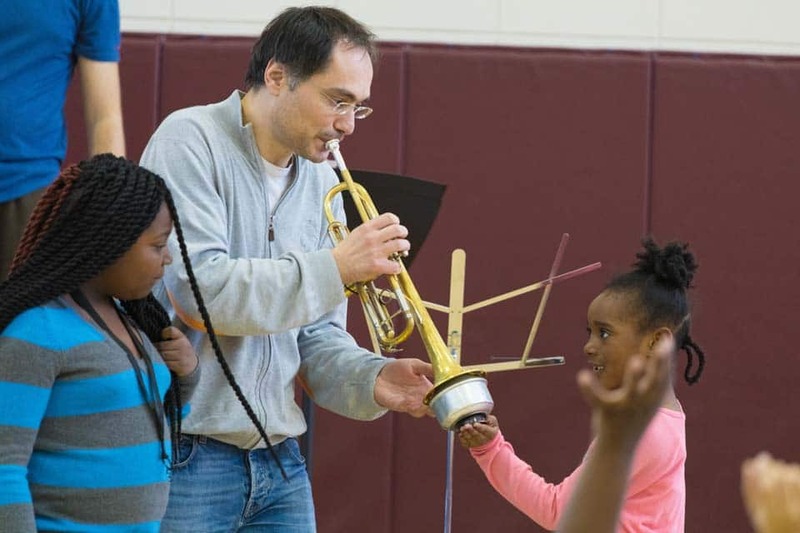 Public, private and charter schools are eligible, as are non-profit organizations that provide music education programs or partner with schools to provide their music education programs. Preservation: Projects preserve Georgia’s music heritage by documenting, archiving or restoring materials that will be made publicly accessible through a Georgia-based museum, archive, or library. Examples include, but are not limited to, academic research projects, oral and video histories and restoration or digitization of historically significant materials. Outreach: Outreach projects interpret and foster an appreciation for Georgia’s music heritage through publicly accessible materials or programs. Examples of projects include exhibitions, documentaries, books, lectures, workshops and digital media. The application period for projects taking place in 2019 has ended. Applications for projects taking place in 2020 will be accepted July 15 – Sept. 1, 2019. The application will be available online during those dates. Examples of eligible expenses include music instructor and teaching artist fees; instruments and music equipment; instructional materials; recording, production and engineering services; software; research and development; costs of exhibit curation, design and fabrication. Funds will not be considered for expenses incurred before or after the year in which the funded project takes place. Additional non-eligible expenses include: general administrative or operating expenses; marketing and fundraising expenses; food or beverage; or accumulated deficits or debt. The maximum amount for a Georgia Music grant request is $5,000. Grant applications are reviewed by Georgia Music Foundation board members who consider the merits of the application including the capacity to implement the program with available budget and personnel, as well as organizational history and prior achievements. Preference is given to projects demonstrating critical need and providing accessibility to underserved audiences and students. The Review Panel reserves the right to request Applicant Interviews. Grant awardees will be notified no later than December 15, 2018. Grant awardees will be provided a contract with the Georgia Music Foundation detailing the terms and conditions of the award. Upon receipt of the contract executed by an authorizing official of the grantee and a completed W-9 form, the Georgia Music Foundation will disburse awards in January 2019. Final reports for grants funding projects taking place in 2019 are due within 30 days of completion of the project or no later than Jan. 31, 2020. Final reports must demonstrate briefly that the project was completed within the terms and conditions of the contract. Grantees who do not submit final reports by the due date will not be eligible to apply for future Georgia Music Foundation grants. Please direct questions to: info@georgiamusicfoundation.org.